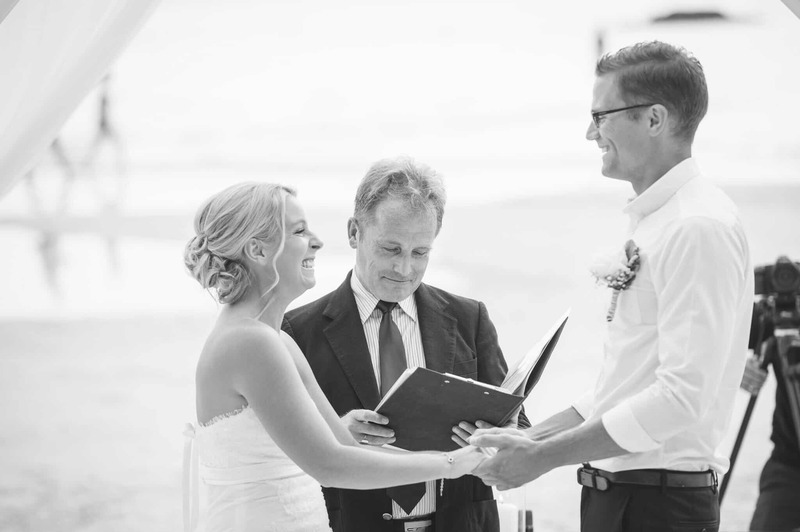 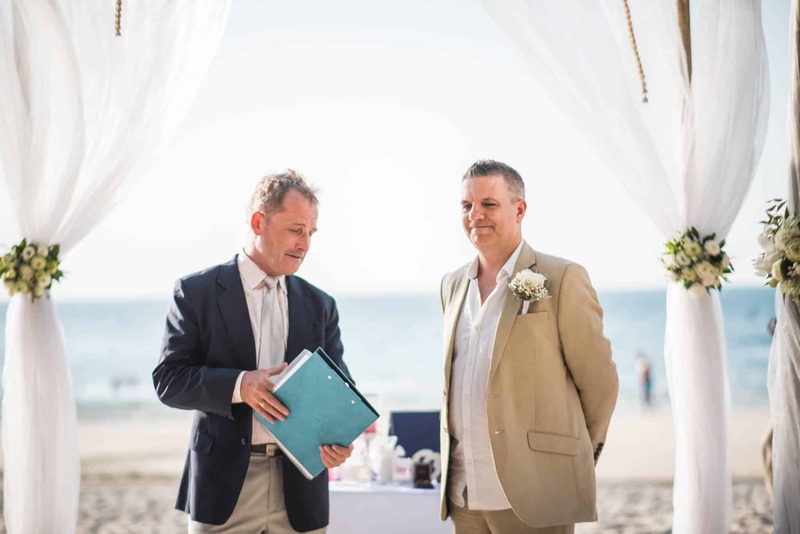 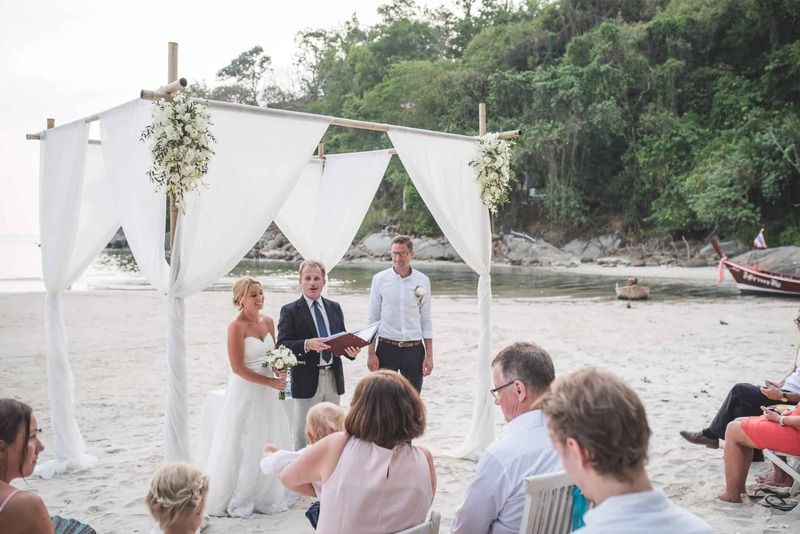 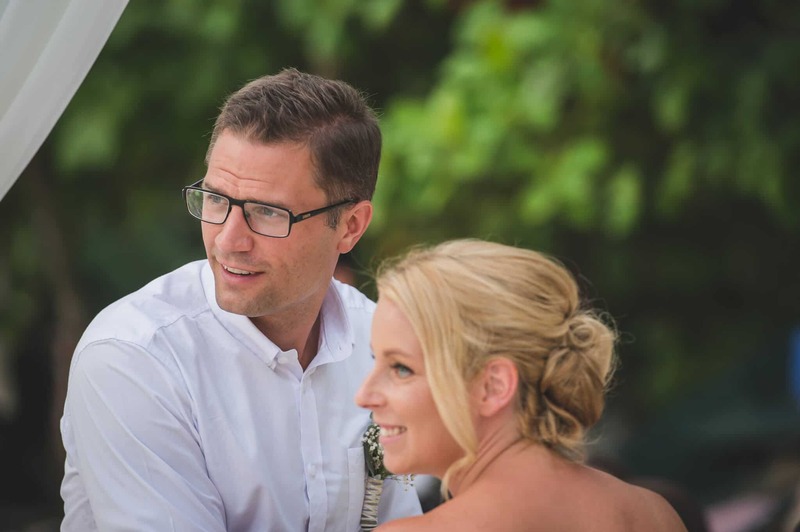 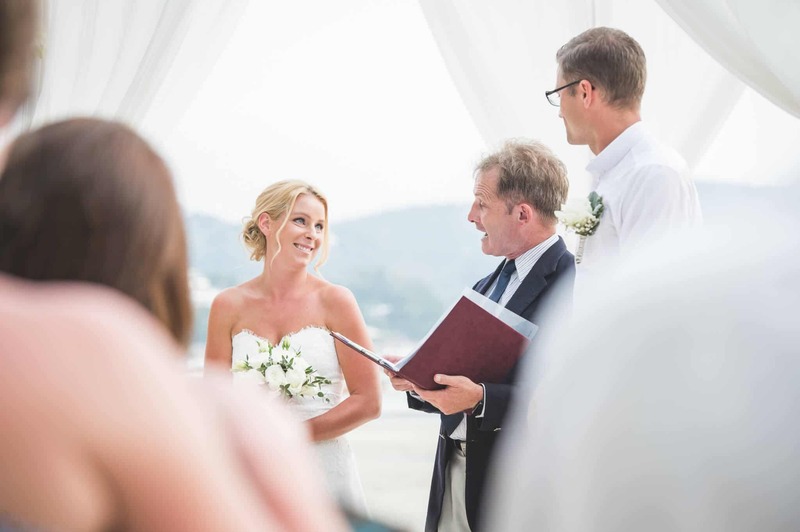 It was my privilege to be asked to Wedding Celebrant Phuket for the Beach Wedding of Peter and Hanna on Kata Beach. 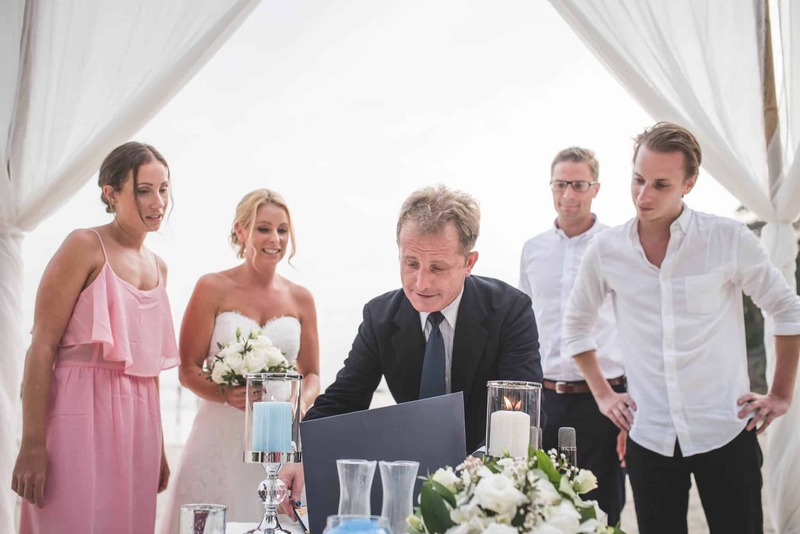 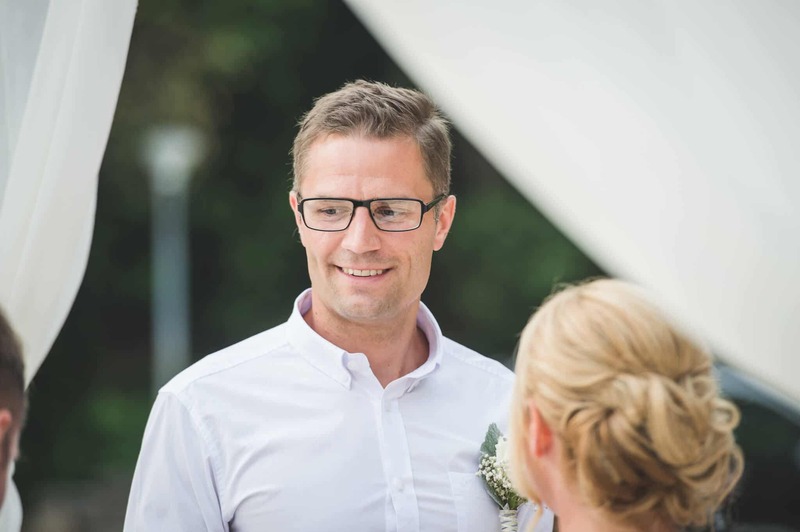 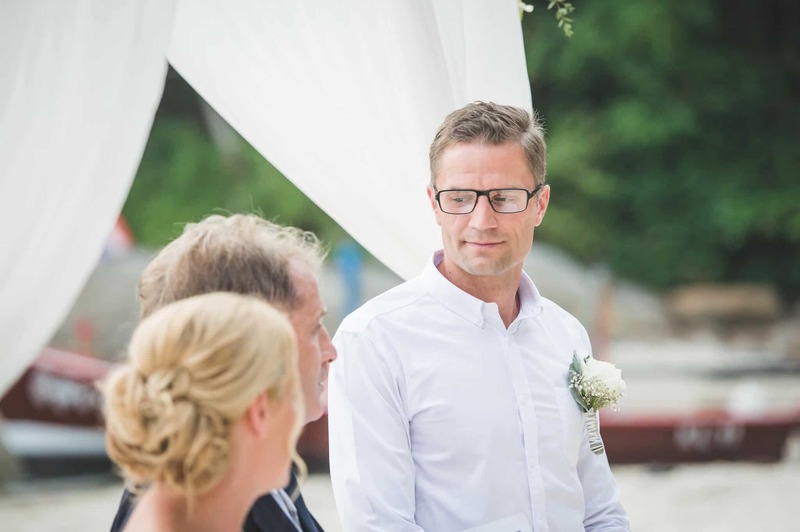 They had already married in Sweden earlier but wanted to have a Beach Wedding in Phuket for all their close family and friends. 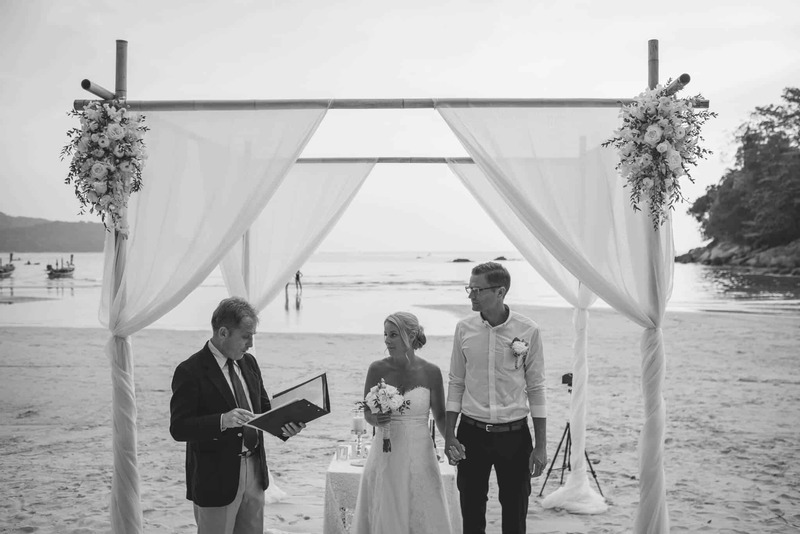 We had met a few days earlier in their Hotel in Karon Beach to finalize their Wedding Ceremony and Vows. 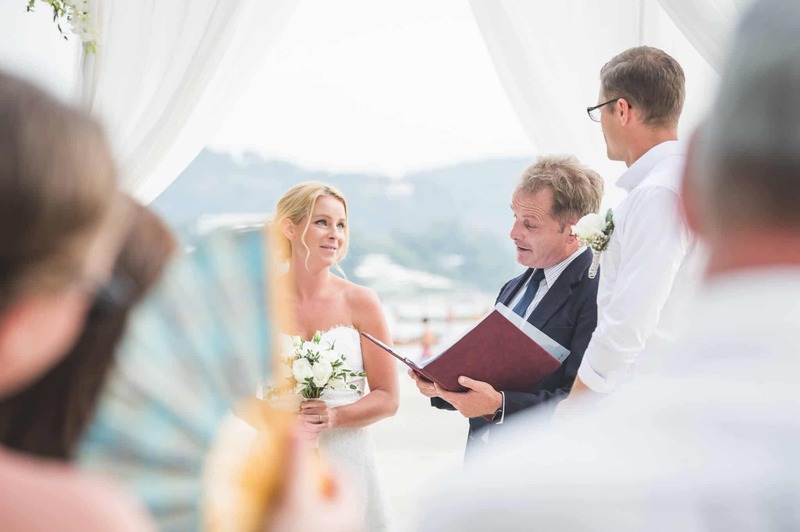 Hanna even though she was already married was a little nervous, I assured her that we would have a wonderful Wedding Ceremony. 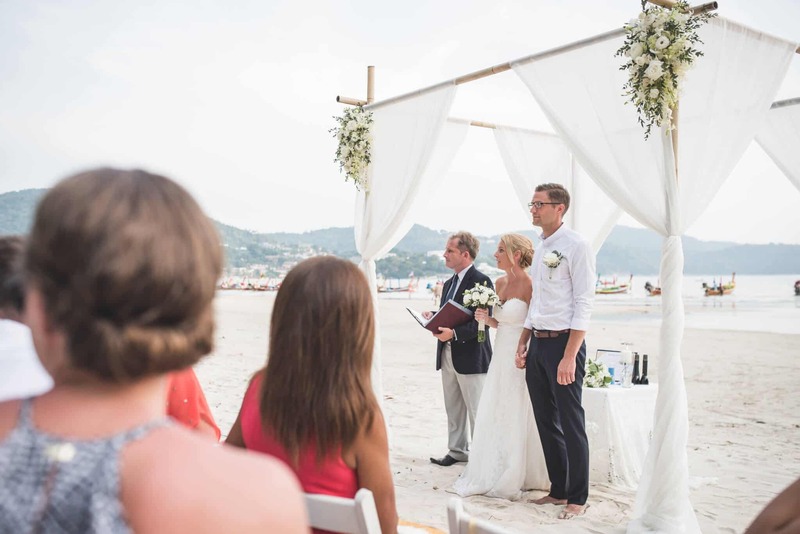 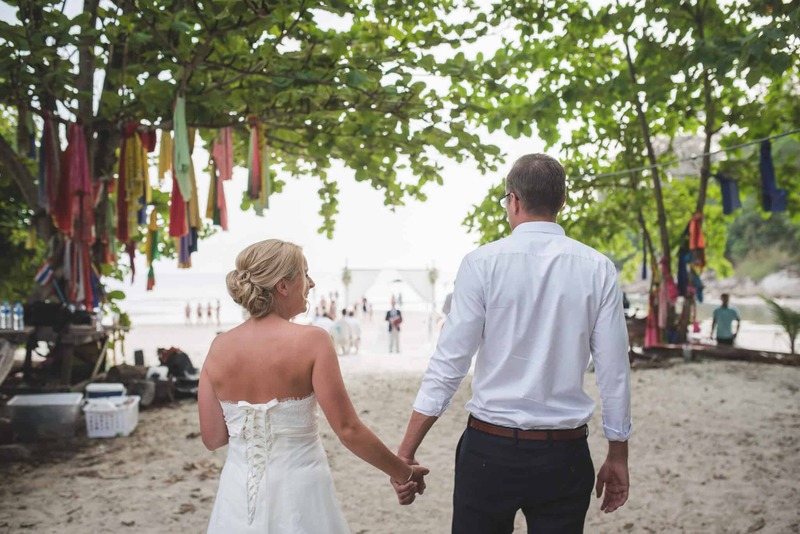 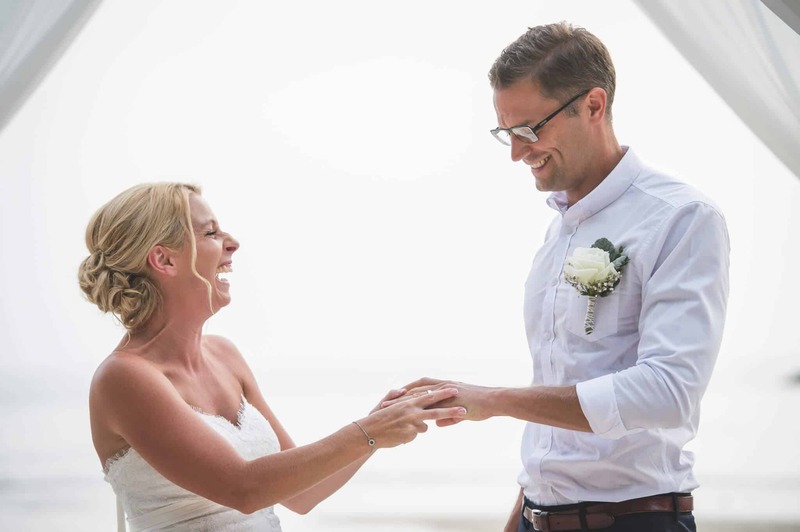 Once we had discussed the music and the poems to add to the Wedding Ceremony this helped reassure her that we would all have a great Beach Wedding in Phuket. 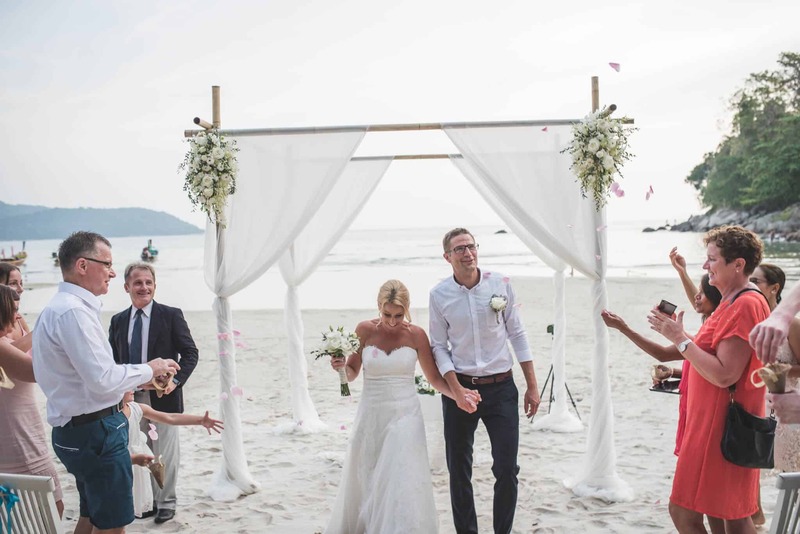 On the day, the weather was great and the set up by Wedding Flowers Phuket was just what the couple wanted. 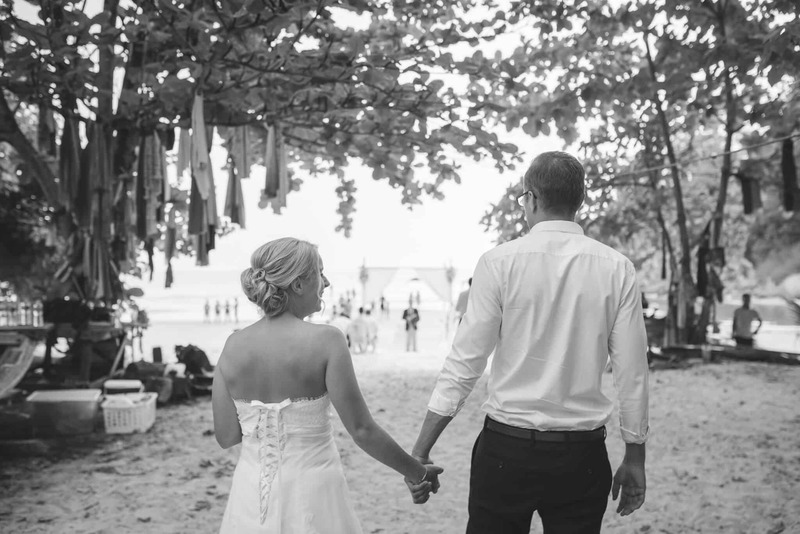 All the music was sung at the beach by a live duo and with all the close family and friends it was a was a wonderful day. 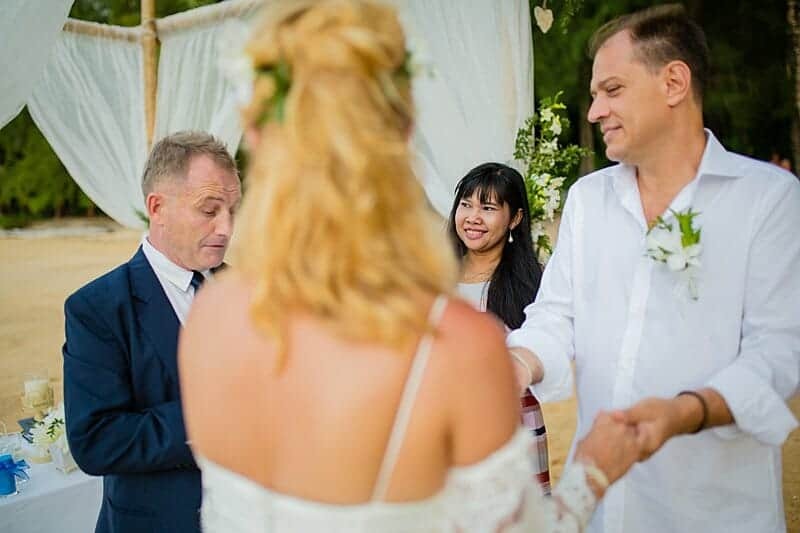 It was a beautiful Wedding ceremony, sprinkled with some humour, and we all had a great afternoon before they headed to the evening Wedding Reception at a nearby restaurant. 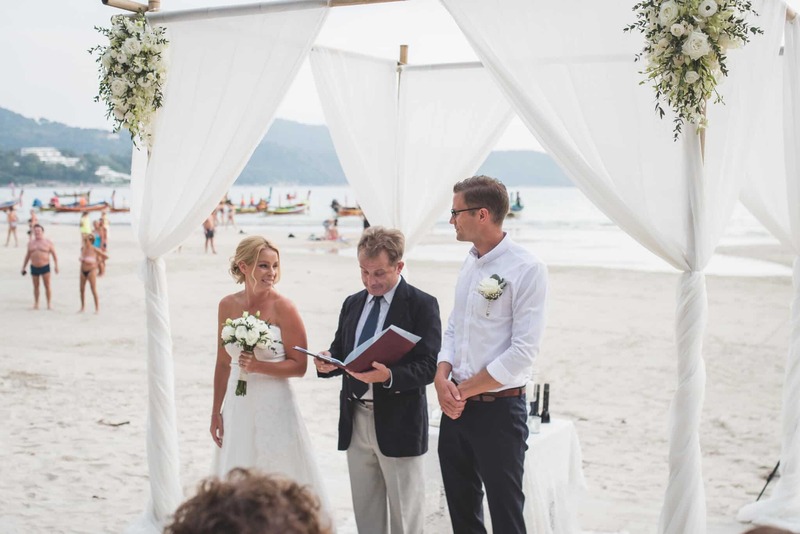 If you are looking for a Wedding Celebrant or Master Of Ceremonies in Phuket or in Asia please contact me here or make a booking inquiry here.